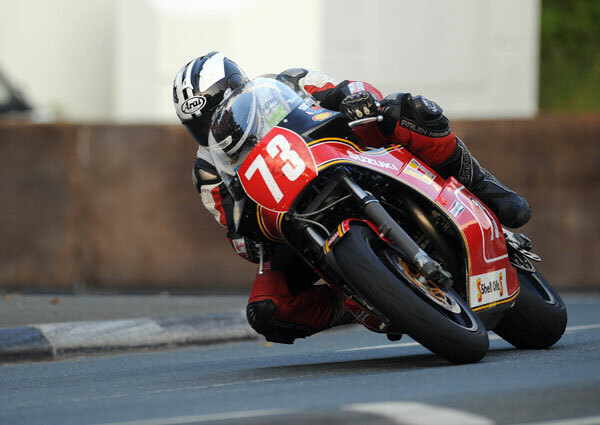 After taking the victory and posting a stunning near 124mph lap in last year’s race, which he followed up with his second successive four timer at the TT in June, Michael Dunlop is the clear favourite for the race win, particularly as he will again be racing Team Classic Suzuki’s GSXR1100 powered XR69. However, there’s further strength in depth this year with an increase in both the quality and quantity of the field. Starting from number one on the road, Dunlop's challengers come thick and fast with James Hillier and Dean Harrison at numbers two and three respectively on the grid. The duo will both be mounted on ZXR750 Kawasaki’s, Hillier with Jackson Racing and Harrison for Mistral Racing, and are sure to be major contenders. Guy Martin is scheduled to start at number four on another GSXR1100 XR69. Riding the Trident Engineering machine, it will be the Lincolnshire rider's first outing around the Mountain Course on a classic machine since finishing second in the 2009 Post Classic Manx GP Race. Possibly the most exciting rider and machine combination on the grid comes in the form of outright TT Lap Record Holder Bruce Anstey on board the Padgett’s Motorcycles YZR500 Yamaha. Having made his name on two stroke machinery, the Kiwi should be right at home of the exotic ex GP machine. Team Winfield provides a double-pronged attack with Ryan Farquhar and Gary Johnson on their 1100cc Harris Yamaha’s and the pairing will certainly push Dunlop hard at the head of the field while last year’s third placed finisher Ryan Kneen will be expecting to challenge again on the DMR OW01 Yamaha. Suzuki will provide further challengers with Lee Johnston on the second Team Classic Suzuki GSXR1100 XR69 and Dan Kneen and Paul Shoesmith on the RLR Motorsports Suzuki’s while Russ Mountford riding another GSXR1100 XR69 for Team York Suzuki and the returning Carl Rennie on a GSXR750 Suzuki are all expected to post fast laps. Kawasaki's ZXR750 is one of the more favoured machines in the field with Jamie Coward, Harrison’s team-mate at Mistral Racing, Dan Stewart (Wilcock Consulting) and John Barton (Wemoto) all more than capable of getting into the top three with Paul Duckett and Fabrice Miguet also anticipated to perform well around the 37 and ¾ mile course. Olie Linsdell (Flitwick Motorcycles/Steve Bond FZ Yamaha), Ben Wylie (YB4 Bimota), Graham English (Tiva Engineering XR69 Suzuki), Mick Godfrey (Alfs Motorcycles 888 Ducati), David Bell (Graham Turnbull FZ750 Yamaha) and Chris Dixon (GSXR750 Suzuki) further illustrate the strength and variety of the field with class regulars Paul Baleta, Chris Petty, Andy Lovett, Ken Davis and Paul Coward all lining up on Glencrutchery road once more. The iconic RC30 Honda is expected to feature prominently in the hands of former TT winner Nick Jefferies, current TT star Dan Cooper (CSC Racing), Kiaran Hankin, Daniel Sayle (Bob Jackson Racing), David Madsen-Mygdal (Gimbert Racing) and Timothee Monot (Optimark Road Racing).